The Labour leader of Haringey council has accused supporters of Jeremy Corbyn of sexism and bullying as she resigned following a lengthy and bitter row with members of Momentum over a local regeneration project. 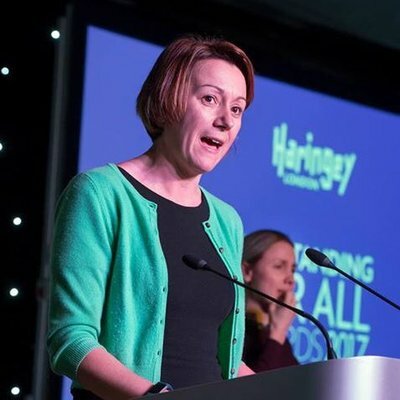 Claire Kober said she would quit as head of the local authority, and as a councillor, at elections in May following months of disputes over the £2bn Haringey development vehicle. The project, which is due to be carried out with a private developer, was strongly opposed by members of Momentum and led to more than a dozen centre-left councillors being deselected or not seeking to stand again. Kober was angry over the actions of Labour’s ruling national executive committee, which last week called on Haringey council to pause the 6,500 home development, an intervention which she described in a blog yesterday as “discourteous”. The scheme for 6,500 houses and flats is now set to be scrapped with Momentum-backed councillors expected to win control of the Labour group in the spring. Critics of the development have repeatedly described the plan as “social cleansing”. A spokesman for Momentum declined to comment on the resignation of Kober. Andy McDonald, the shadow transport secretary, told the BBC he did not think the intervention of Labour’s NEC was “high-handed”. The chairs of two local constituency Labour Parties (CLPs) said it was “regrettable” that the development vehicle had become such a “divisive” issue. “We think it is the right decision to allow the Labour group elected in May to make a decision about the future of the HDV, taking into consideration the report from Haringey’s scrutiny panel and the collapse of Carillion. This allows us to go into the local elections with clarity and in unity,” wrote Celia Dignan, of Hornsey and Wood Green CLP, and Russell Dove, from Tottenham CLP.